what is the difference between 2.1 and 2.2 OS? x8 not an excellent investment with 2.1 outdated os..
hello, i was considering getting an x8, but then i realised that the samsung galaxy mini was seemingly just as good and within the same price range, any advice will be greatly appreciated. does this phone surport adobe pdf reader? nayeem, 13 Apr 2011i wanna buy a xperia x8 very soon. it has already stolen my mind . ops mind blowing .frankly speaking lf u need an outdated android os,then go for it.i also own x8.no 2.2 update in near future.finally I decided to move.it is time to switch to.Samsung. 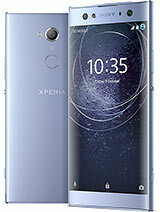 i wanna buy a xperia x8 very soon. it has already stolen my mind . ops mind blowing . AnonD-5916, 11 Apr 2011sorry dude .. u bought the x8 ahead .. qng nag intay klng onti.. mababa mo p sna nkuha.. ako, ... moredude! ok ba 3g ng x8 mu? until now im still not decided which one to buy. hope u'll help me. ito mga choices ko, sony ericsson elm, nokia E5, nokia E63, se x8. AnonD-5916, 11 Apr 2011sorry dude .. u bought the x8 ahead .. qng nag intay klng onti.. mababa mo p sna nkuha.. ako, ... moremate where can i buy back casing of x8? xperia x8 or xperia x10 mini?? does this mobile support skype?